Today’s financial environment is the polar opposite of the pre-crisis landscape, and that has major implications for corporate liquidity. There was a time when life was not as hard as it is today for chief financial officers and corporate treasurers. If a company had short-term excess cash, it could make a quick profit by putting it on overnight deposit, and decent returns were also available on longer-term investments. Now even the memory of these times is fading fast. Certainly, we live in a very different world. Take interest rates for example; for most CFOs, the idea of simply placing funds on overnight deposit is now probably very far from second nature. In the eurozone (as well as in Denmark, Sweden, Switzerland, and Japan), in tandem with a European quantitative easing program intended to kick-start sluggish eurozone economies, the European Central Bank (ECB) has taken its deposit rate into negative territory — starting (in June 2014) with -0.1% and lowering it in a series of successive steps to -0.4% in March 2016. This is a totally unprecedented move for such a large currency zone, and we are still waiting to see what effect it will have in the longer term. The immediate consequence (and desired effect) is that banks’ overnight deposits with the ECB now cost them rather than earning them money, which has an inevitable knock-on effect on the deposit rates they can offer their customers. While U.S. banks and U.S. corporates have not yet been subject to this particular kind of interest rate vagary, this could of course affect corporates’ subsidiaries in the eurozone as well as their eurozone business partners. Those companies’ investment strategies had and have to change as a result, as certain types of deposits have suddenly become unattractive options. In addition, negative rates also mean the possibility of zero or negative yields on other traditional investment options, such as money market funds and sovereign bonds – removing these usual alternatives from the range of possibilities. Such developments on the macroeconomic stage directly affect the options that corporates have to deposit or invest their money and earn a return. Strange as it might once have seemed, another important factor affecting corporate liquidity is banking regulation — something that until recently hardly figured at all in most corporates’ considerations. Now it regularly affects their options, not just when borrowing, but also when depositing funds. Certainly, anyone can understand that the subprime trigger to the 2008 financial crisis has made regulators take a closer interest in the kinds of individuals and companies to whom banks extend loans — but why should banking regulation also have an effect on the companies’ choices to deposit or invest cash? In fact, it does, in several ways. Take, for example, the important set of regulations known as Basel III. These establish a Liquidity Coverage Ratio in the United States and in the European Union. The LCR is intended to ensure that banks have, at all times, sufficient liquidity reserves to manage a so-called “30-day stress event” — basically a run on the banks, in which customers remove all the deposits and investments they can. Banks must hold reserves to balance these, in the form of unencumbered “high-quality liquid assets” (HQLAs) – assets that can be easily converted into cash within a day with no loss of value. Also, the LCR — the ratio of “safe” reserves to more volatile assets that the regulator assumes will “flow out” of the bank in a stress event — rises next year, from 90% in the United States to 100%. In the European Union it rises from 70% currently to 100% in 2019. Not surprisingly, the LCR severely constrains the kinds of cash banks wish to, or even will, accept at any given time. A key impact is on the kind of customer deposits banks favor. Are they HQLAs, or are they contrariwise assets that need to be offset by a relevant ratio of HQLAs? Indeed, without at least a rudimentary understanding of these circumstances and connections, banks’ corporate customers will struggle to comprehend the entirely different treatment they may experience when trying to deposit these two distinct pots of company cash, even with the same bank. What is clear from just these two — albeit highly significant — examples is that CFOs and corporate treasurers must adopt an entirely new approach to liquidity management. They need to develop a far better understanding of the underlying forces at work and how they affect their companies’ choices. Only from here can they devise new and effective strategies to optimize their companies’ cash management — including borrowings, deposits, and investments. That said, once the factors affecting a company’s current liquidity status have been analyzed and understood, its treasurer or CFO will be in a good position to improve it. A range of different tactics and tools become available, with the particular mix that a company adopts depending on its individual circumstances. Companies that are cash-poor may decide that a strong starting strategy is likely to improve the visibility and reporting accuracy of their cash flows, which should in turn improve their cash flow forecasting. Certainly, research tells us that corporate treasurers spend more time on this than on any other single activity. And with good reason: improving visibility allows CFOs to make the most of the resources they have, while exploiting any opportunities to maximize efficiencies ̶ perhaps in account costs, interest charges, and interest earned. In this respect, introducing centralized control and cross-currency cash concentration may be useful steps for CFOs to take. For cash-rich corporates, meanwhile, the objective tends to be finding the best home for their various pots of excess cash. Yet, they should bear in mind that — even for highly successful and cash-rich companies — badly managed liquidity can lead to considerable losses. Given this, they need to review their cash and liquidity management as a whole. For instance, understanding how regulation affects banks is a significant part. As a result of this overall review, which defines which parameters are of greatest importance, including duration, they may find they need to revise investment policies. CFOs may decide to redeploy some of their cash strategically after a “scenario-building” exercise to identify where it will bring the company most benefit. That could turn out to be funding a new research project; buying property, plant or machinery; or letting it flow into corporate development, such as embarking on an M&A strategy — all depending on the company’s business plan and current market conditions. As for where the answer lies with more traditional kinds of investments, all options should be considered. For example, would an agency reverse repo be beneficial under these conditions, or should a deposit be a call, term, or rolling time deposit? In this bewildering and sometimes frustrating new financial climate, the successful CFO or corporate treasurer will be a nimble one, constantly reviewing his or her position and on the look-out for new options promising better results. No stone must be left unturned that could result in reduced costs, or a better return or outcome from deploying a particular pot of cash ̶ and in our new upside-down world, that may well be quite a different answer to the one given to the same question yesterday. 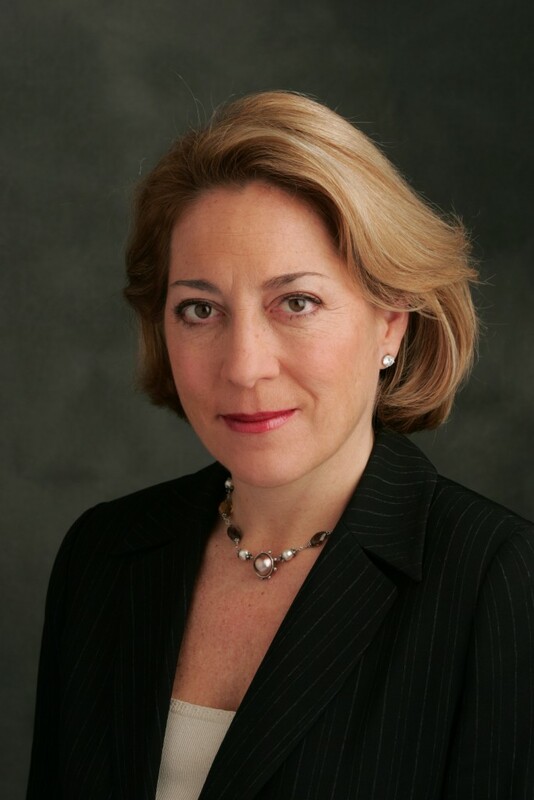 Lisa Rossi is global head of liquidity and investment products at Deutsche Bank.